The Commercial Acceleration of Solar Energy (CASE) program is helping Silicon Valley businesses increase their use of clean energy. 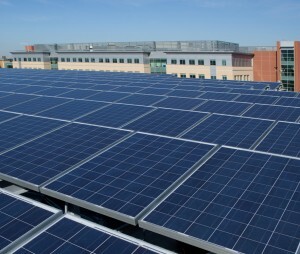 Enabled by the Joint Venture: Silicon Valley Smart Energy Enterprise Development Zone (SEEDZ) Initiative and the US Department of Energy, CASE-SV brings together the business community, municipal governments, and regional organizations to effectively use resources and aggregate their solar energy buying power. The CASE-SV program provides free, objective support to qualifying commercial and industrial energy customers for solar site assessments, education on technical and financing options, streamlined procurement and contractual processes, and opportunities for local and national recognition. The program makes deployment easier and less expensive for participants while accelerating achievement of clean energy goals in the region. There is NO COST to participants to join the program. Goal: Advance solar energy by at least 5 MW or 10 commercial sites in the region over the next 12 months. Best practices. Learn from other companies’ solar project experiences and from industry experts. Independent energy estimates. Screen for solar power generation potential and economic benefits. Credible vendors. Receive a short list of quotes from solar providers qualified in industry-leading specifications. Solar seminars. Participate in solar project workshops on technology, financing, and contracting. Expert assistance. Access technical assistance throughout the planning, procurement, and contracting phases. Receive regional and national recognition for your company’s sustainability efforts. Committed businesses have the potential to become a Joint Venture: Silicon Valley Solar Champion and an EPA Green Power Partner. CASE-SV hosted a series of three webinars to educate program participants on the technical considerations, economic benefits, and legal procurement process for installing commercial solar projects. Each of these webinars featured local case studies from solar leaders around the Bay Area, as well as an overview of each of the topics. Visit Joint Venture Silicon Valley’s SEEDZ CASE webpage. Please fill out our contact form and a member of our team will get in touch with you.